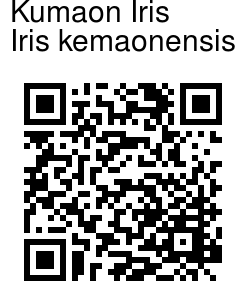 Kumao Iris is named after the Kumaon region of Uttarakhand. Flowers occur on short leafy stems 5-10 cm. Solitary, nearly stemless, lilca or pale purple spotted or botched flowers, appear with young leaves. 'Falls' are obovate, short-stalked, with yellow beard. 'Standards' are elliptic, lilac, incurved above. Flower tube is slender, longer than spathe. 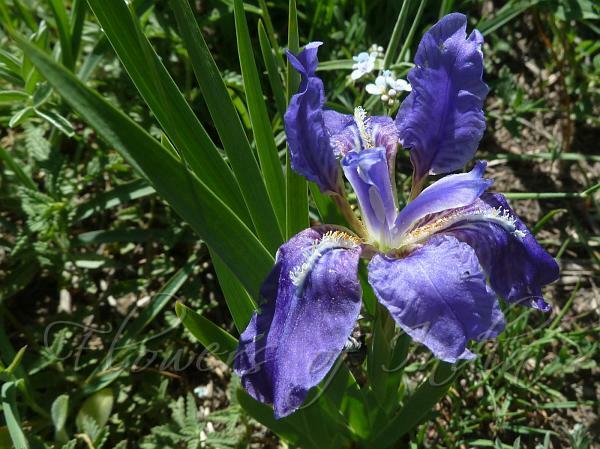 Kumaon Iris is found in the Himalayas, from Garhwal to NE India at altitudes of 2800-4000 m. Flowering: April-July. Photographed at Shirui hill, Ukhrul, Manipur & Lahaul, Himachal Pradesh.